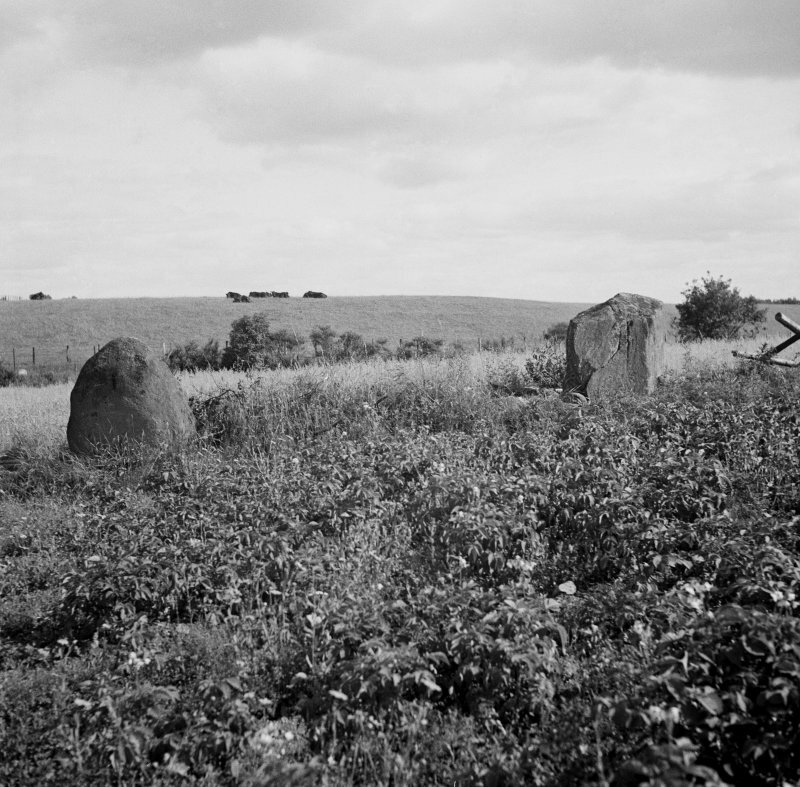 Staredam standing stones, general view. 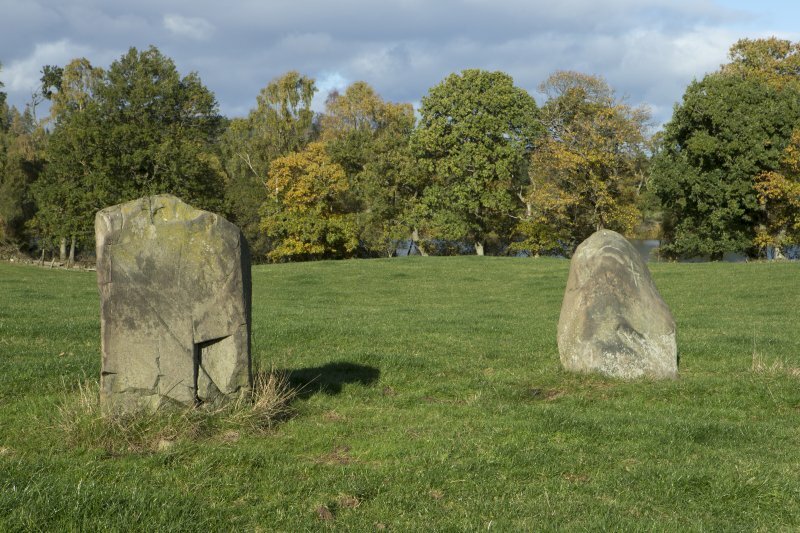 Two stones at Staredam, standing about 12' apart, with no indications that they ever formed part of a circle. 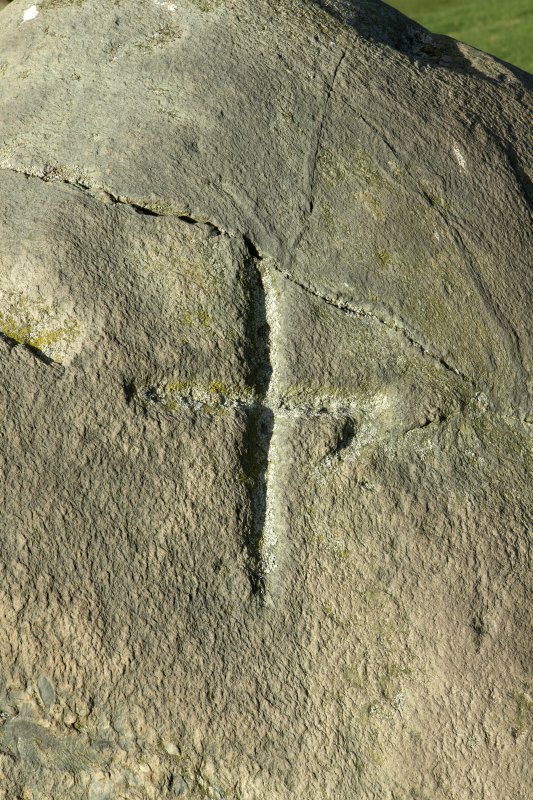 The more westerly has an incised cross, 11" x 8". 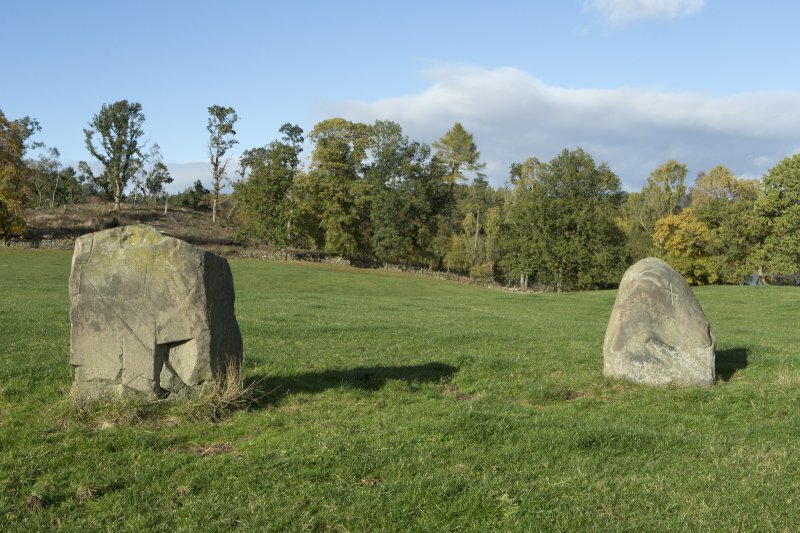 These two stones are orientated NE-SW, with their centres 5.5m apart. 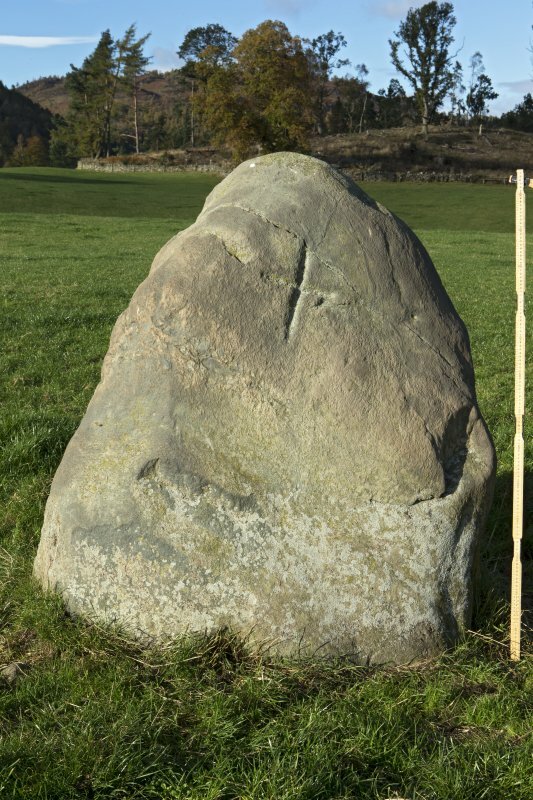 The NE stone, with the cross, is 1.4m high x 1.2m wide x 0.4m thick; the other is 1.3m high x 1.4m wide x 0.7m thick. Visited by OS (WDJ), 13 March 1969. 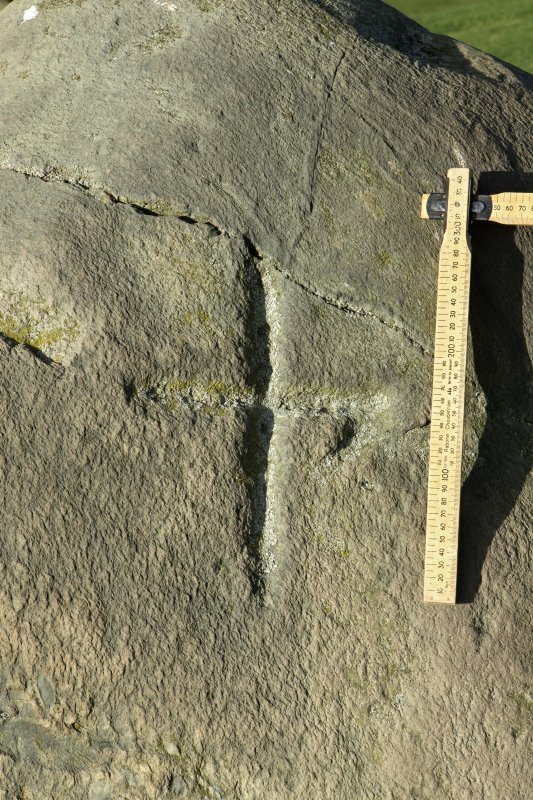 As described in previous field report. 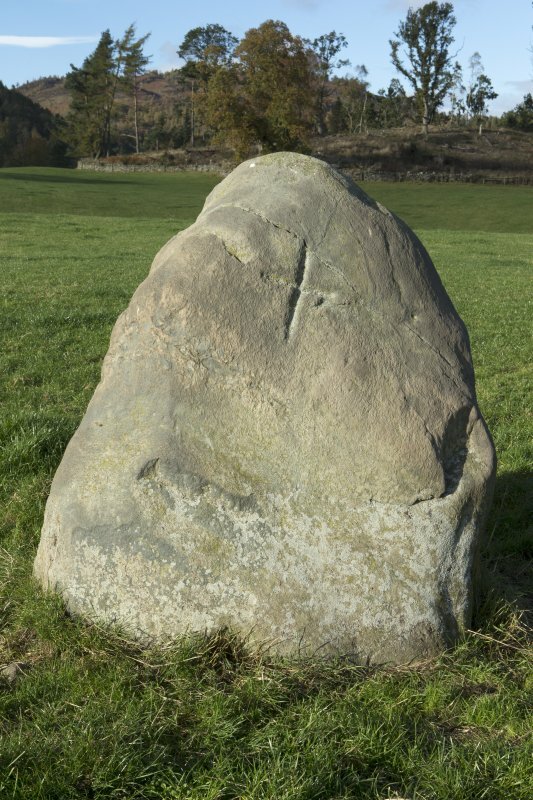 Visited by OS (BS), 7 October 1975. 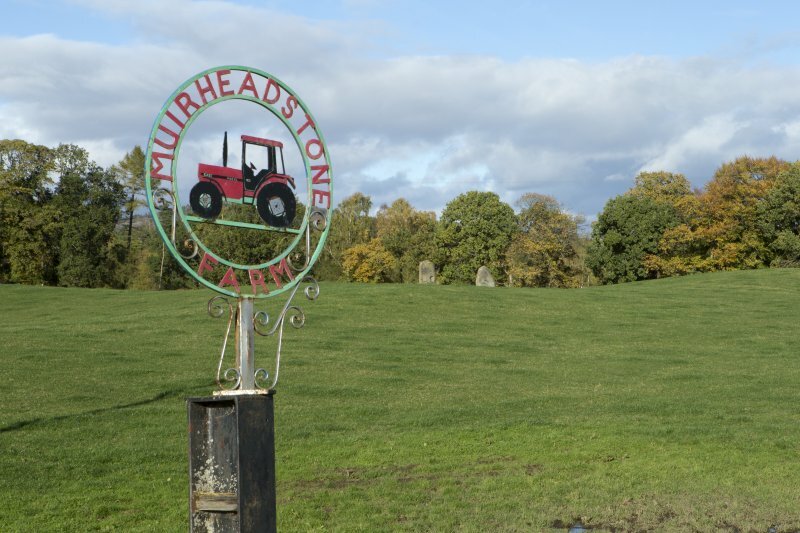 No change to previous field reports. Visited by OS (JRL), 16 March 1979.